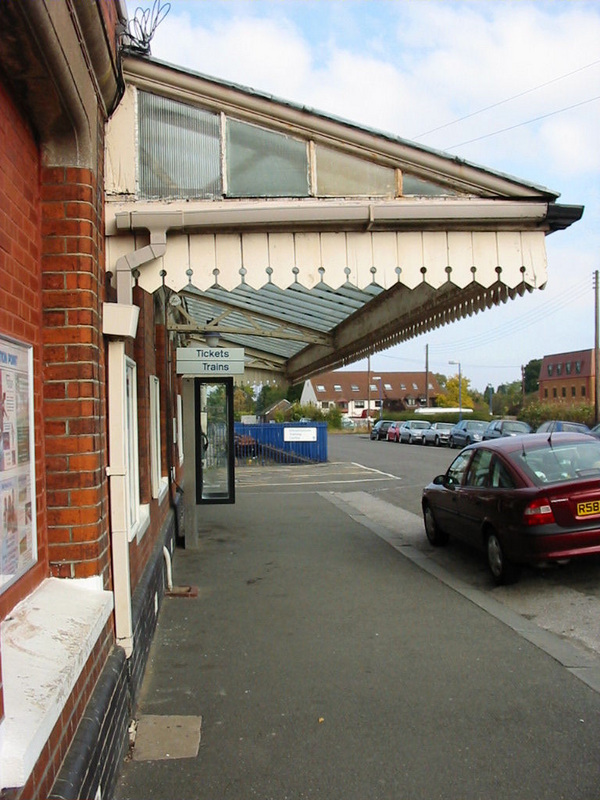 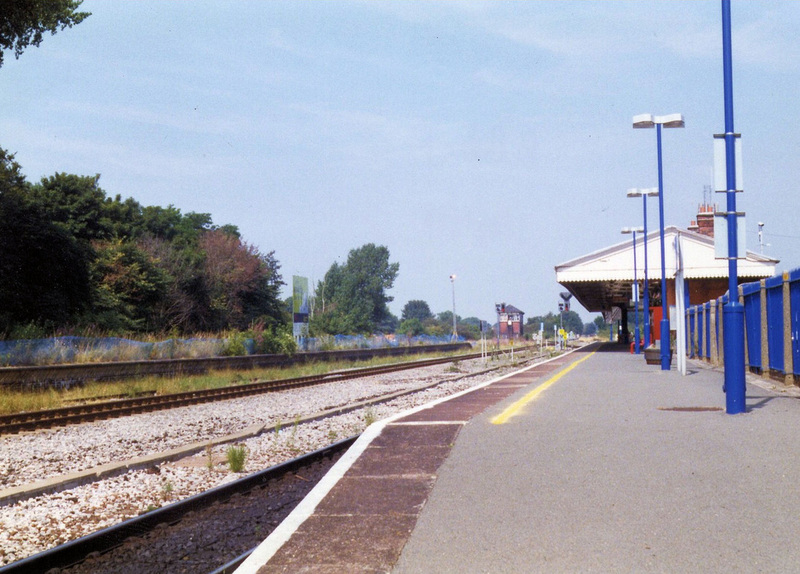 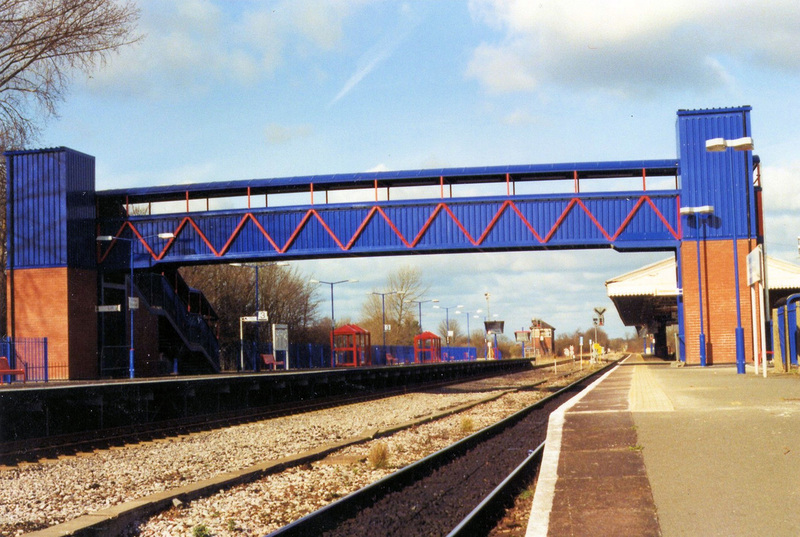 The original Princes Risborough station was situated a few chains north of the present station. 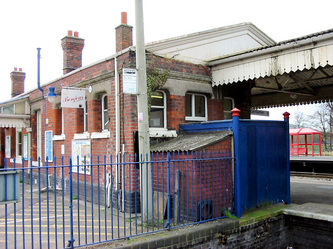 It was opened by the broad gauge Wycombe Railway in 1862 on their route from Maidenhead to Thame. Just over a year later the branch to Aylesbury was opened and Princes Risborough became a junction. The Wycombe Railway was absorbed by the GWR in 1867. 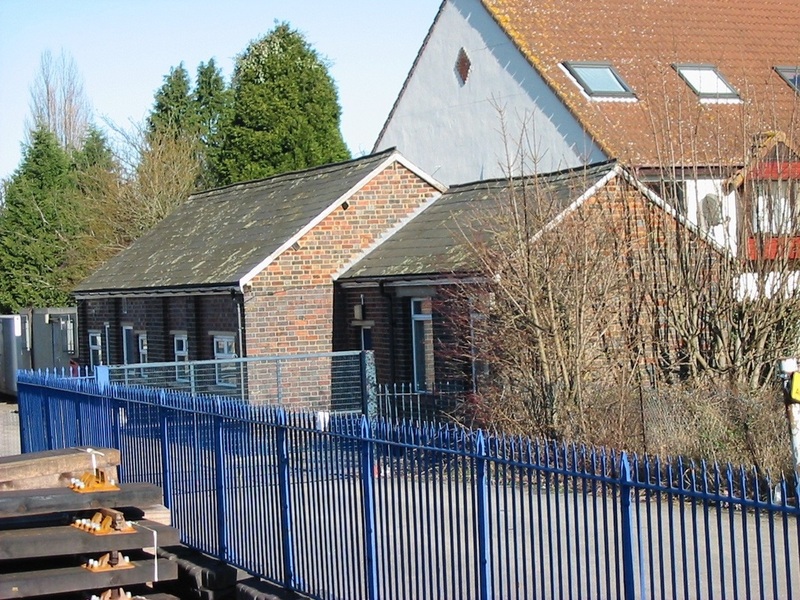 A third line joined the north end of the station in 1872 when the Watlington & Princes Risborough Railway opened. 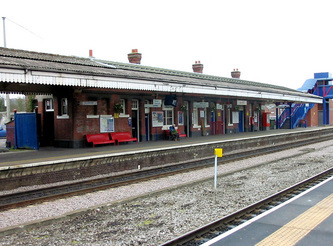 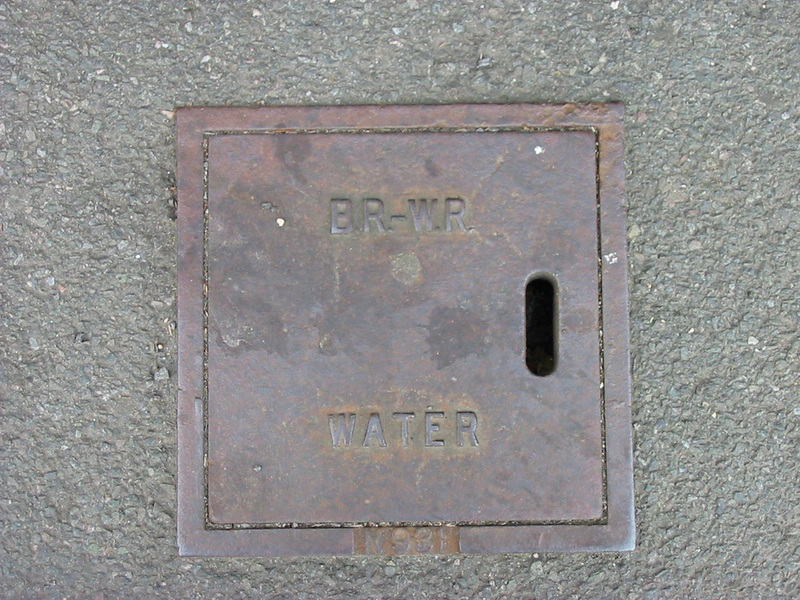 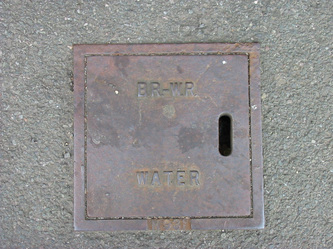 This too became part of the GWR twelve years later. 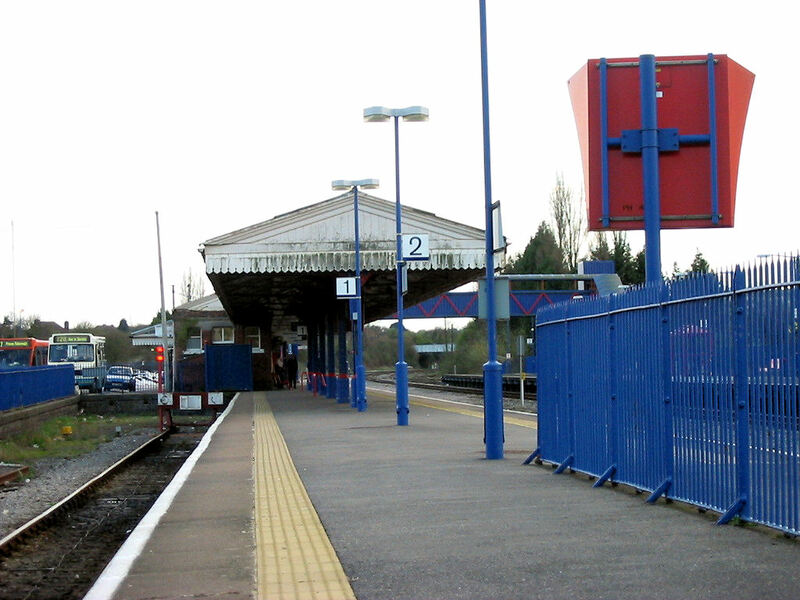 When the Great Western & Great Central joint line was planned at the end of the 90th century it was decided to use the Wycombe Railway route between High Wycombe and Princes Risborough as it provided a convenient route over the Chilterns. 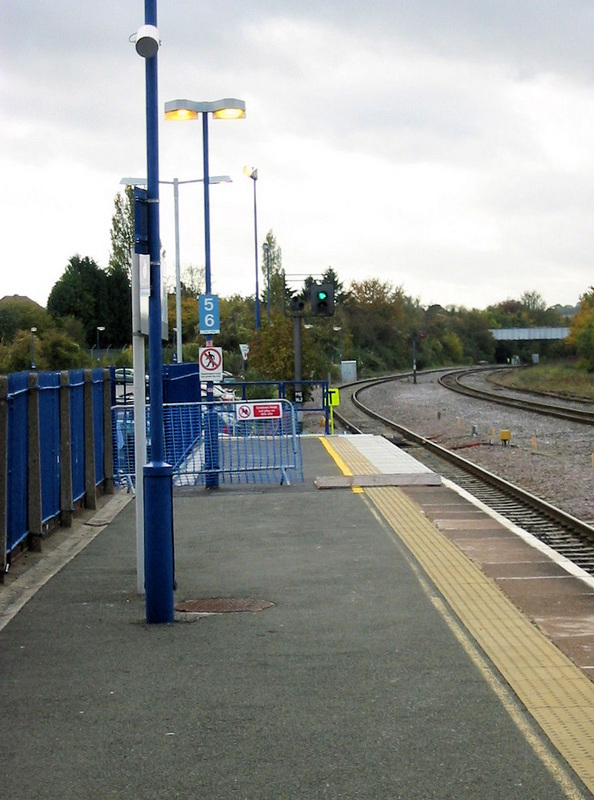 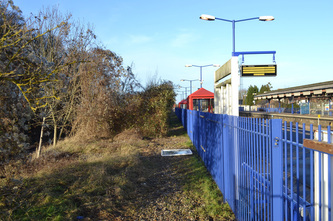 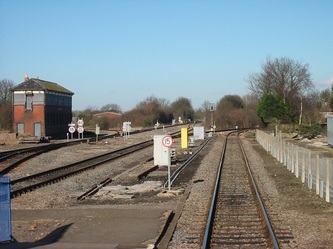 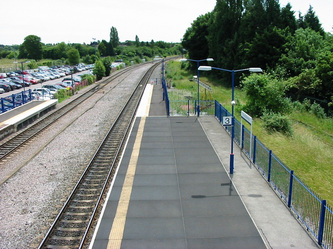 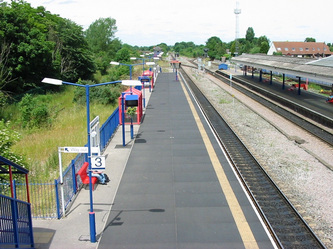 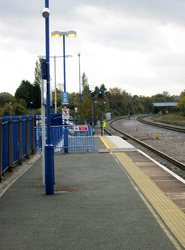 The line was thus upgraded to double track main line status and the new joint line running on to Ashendon Junction meant that there were now four different routes diverging from the north end of the station. 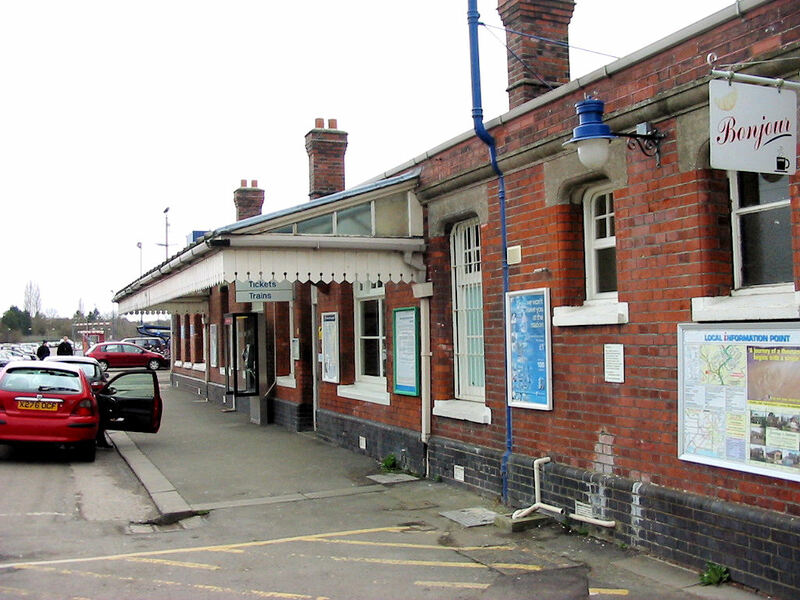 The original station was inadequate for its new role as a main line stopping point and so a new station was constructed just to the south. 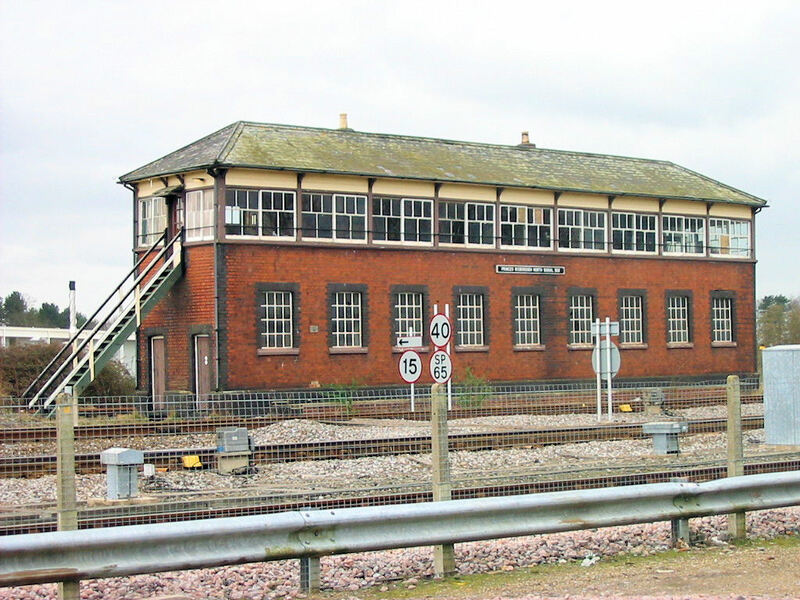 The station was opened in 1910 and was built to a purely GWR design (as were all the GW/GC Joint Line stations except Haddenham) and it provides an excellent example of early 20th century GWR station architecture. 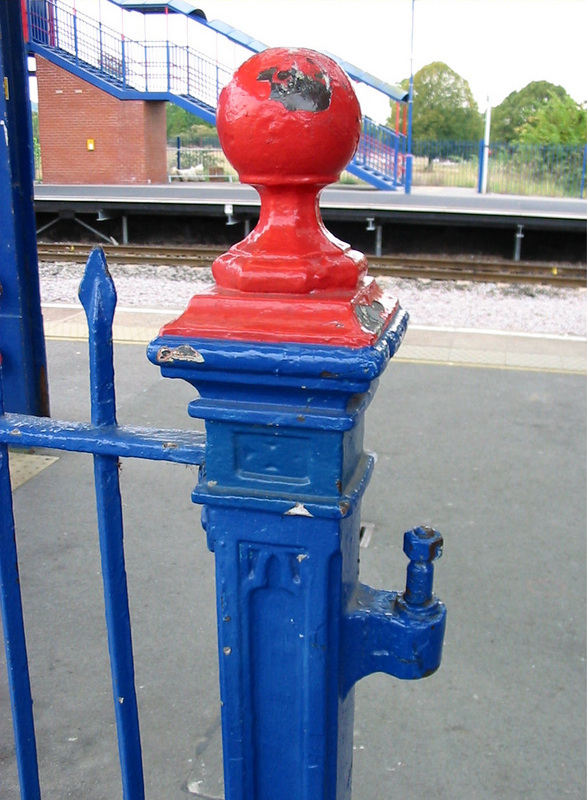 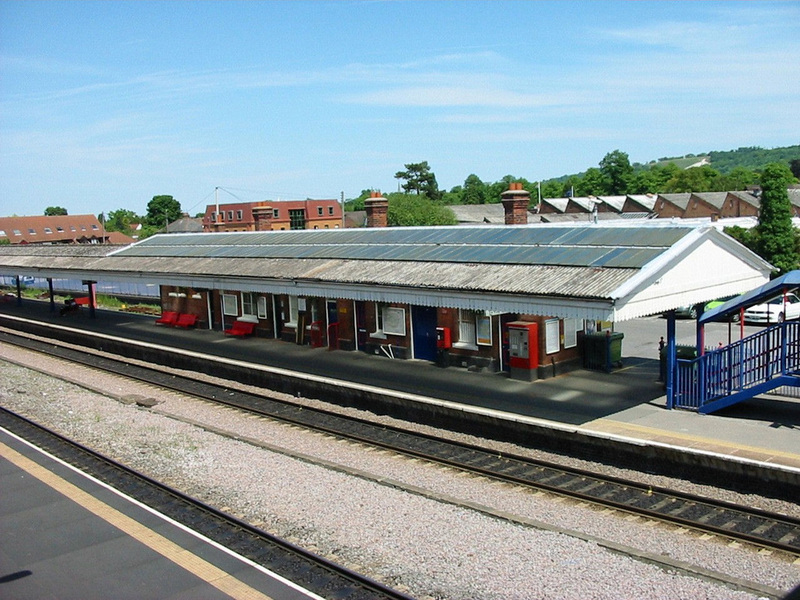 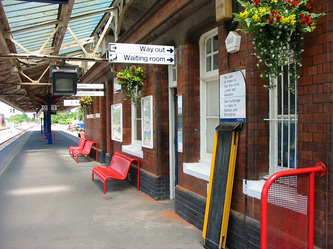 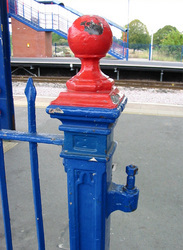 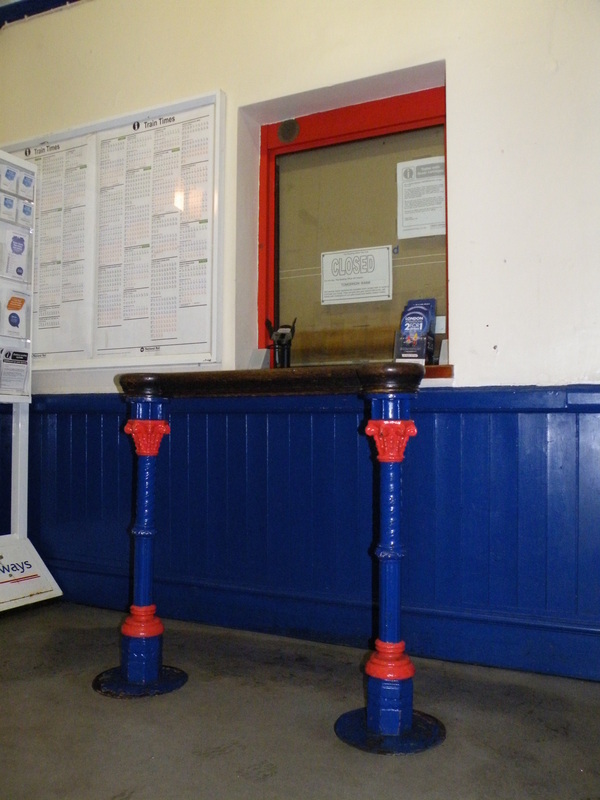 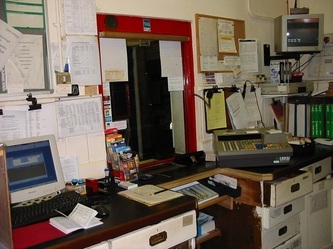 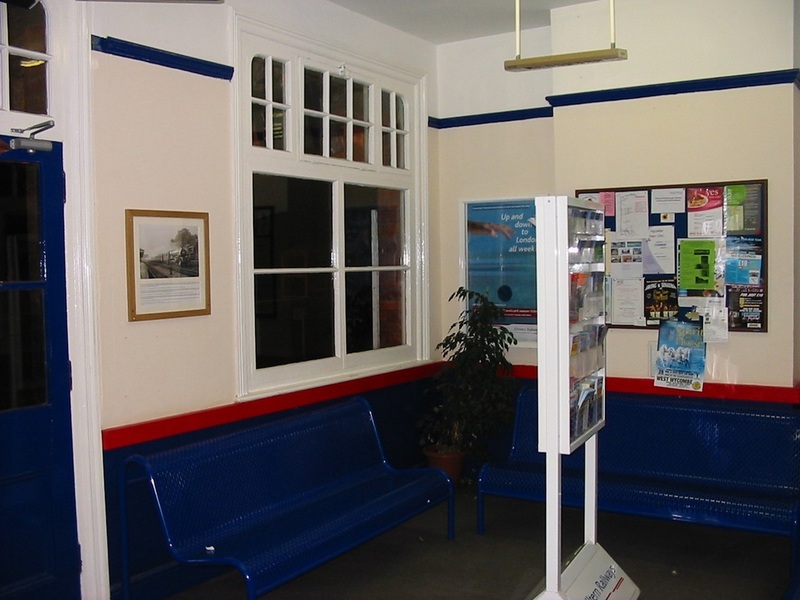 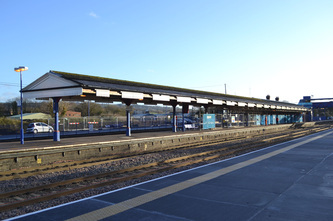 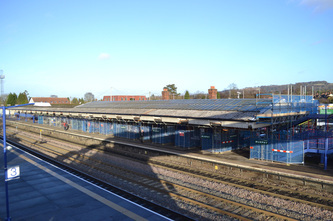 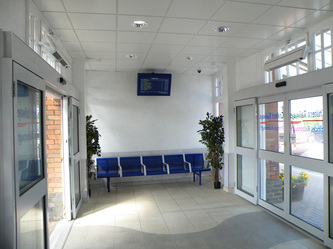 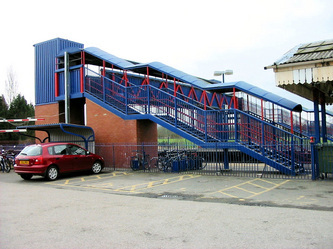 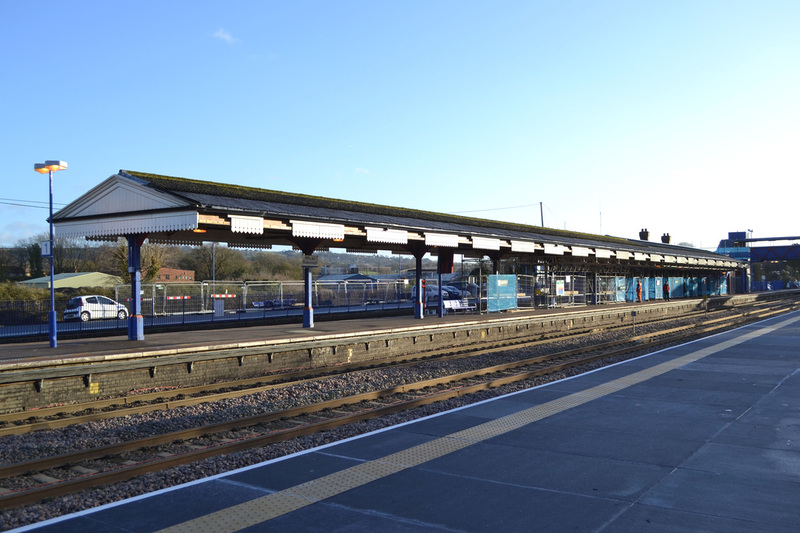 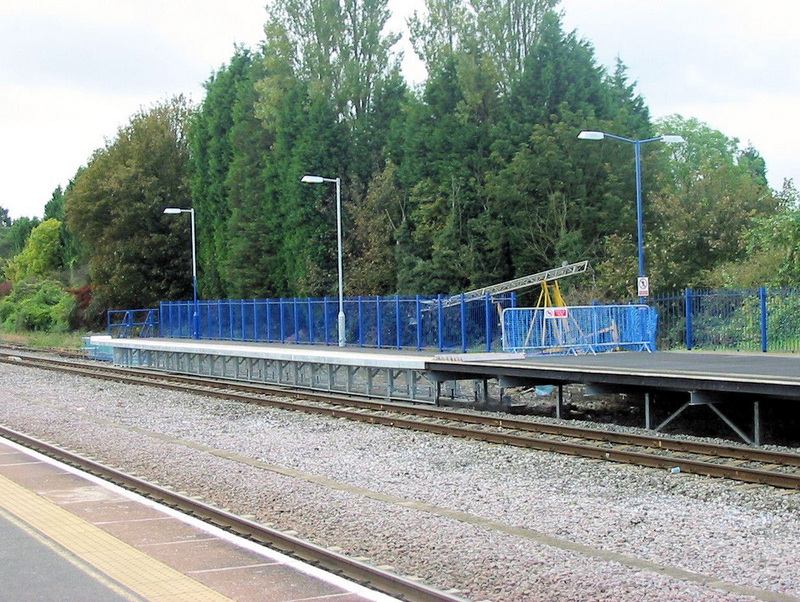 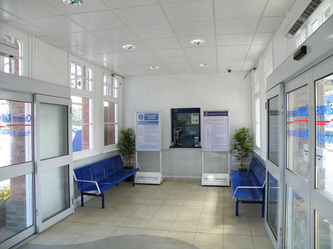 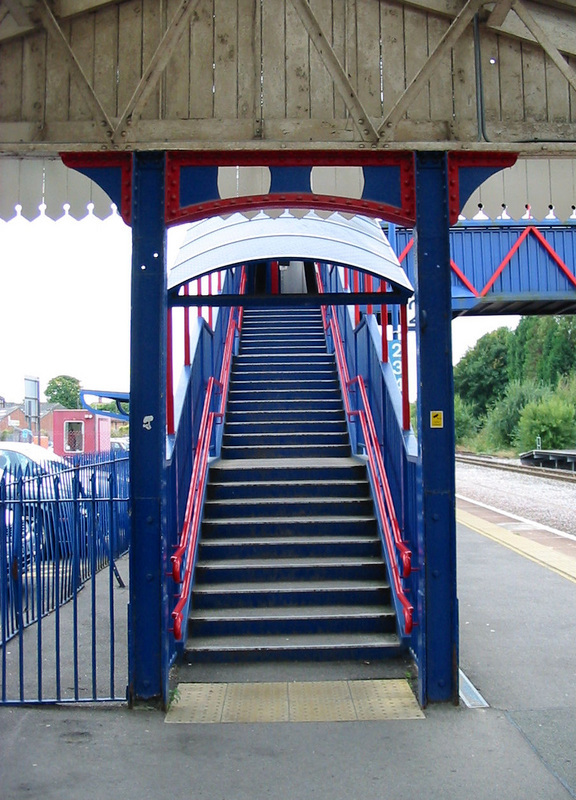 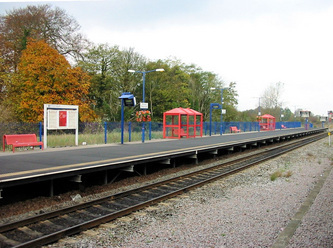 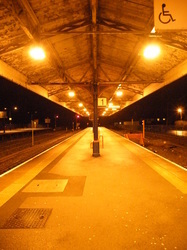 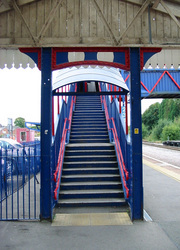 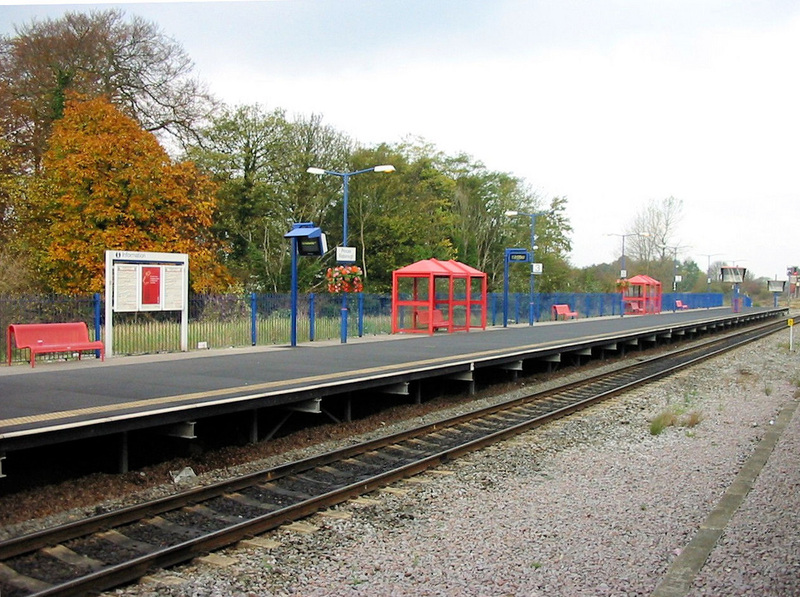 This type of station can also be found at High Wycombe, Bicester North, Henley in Arden, Shirley, Hall Green and in preservation at Toddington and Gotherington. 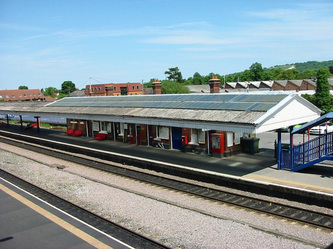 The building is a flat-roofed structure, usually in red brick. 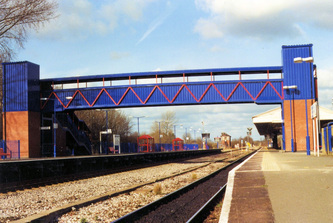 Over the top of this is balanced a cantilevered steel framework which provides both an outer roof for the building and a stanchionless awning over the platform. 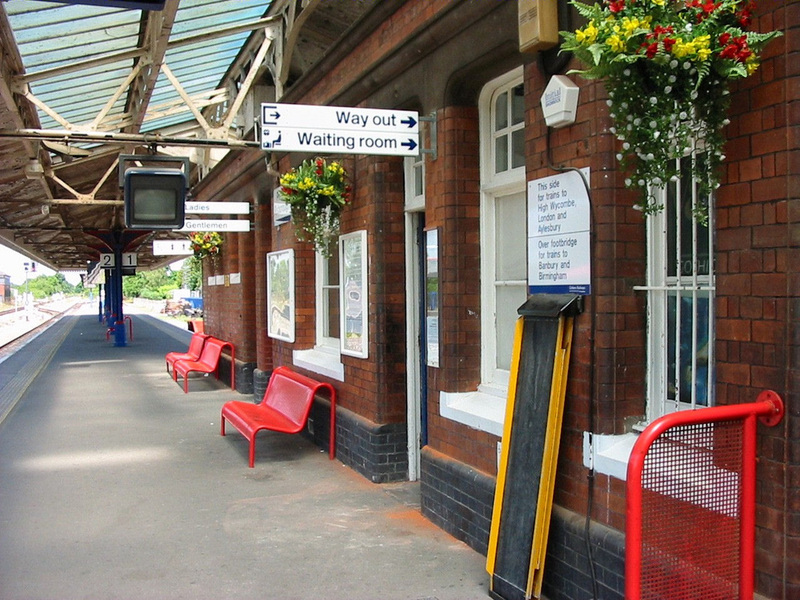 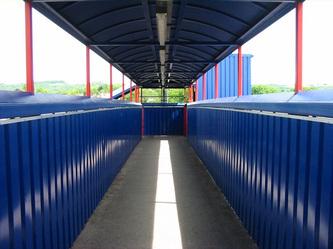 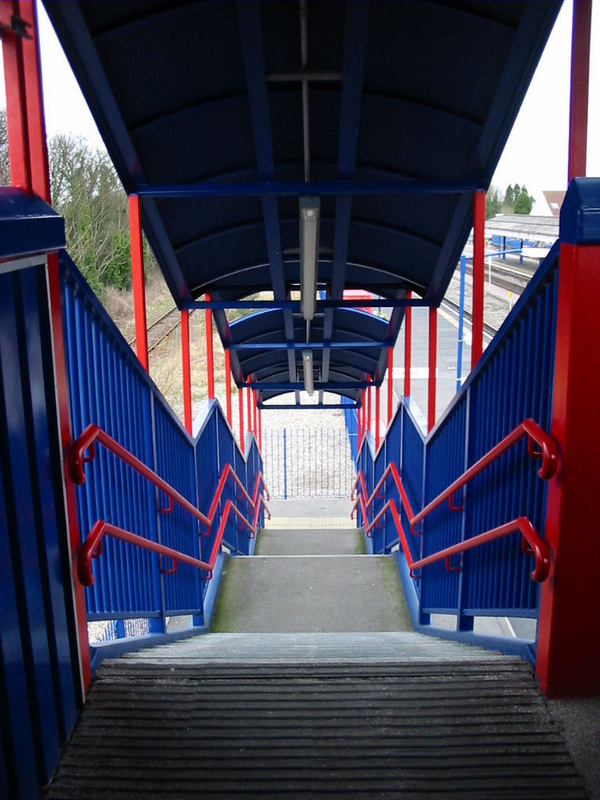 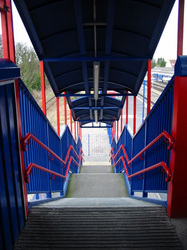 In most cases the awning is continued over more of the platform as a canopy supported on plain, riveted steel stanchions. 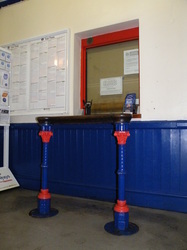 The result, whilst not particularly decorative, is neat and highly functional. 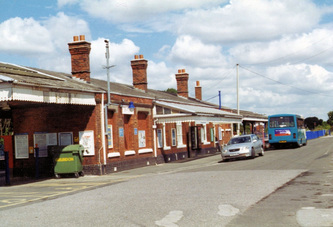 The branch to Watlington closed to passengers in 1957 but remained open for freight as far as Chinnor until 1989. 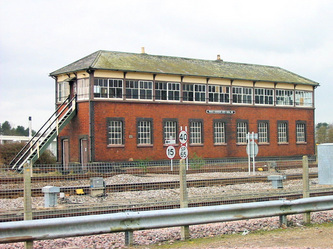 The line is now operated as a heritage railway by the Chinnor & Princes Risborough Railway who hope to extend the line back to Princes Risborough at a future date. 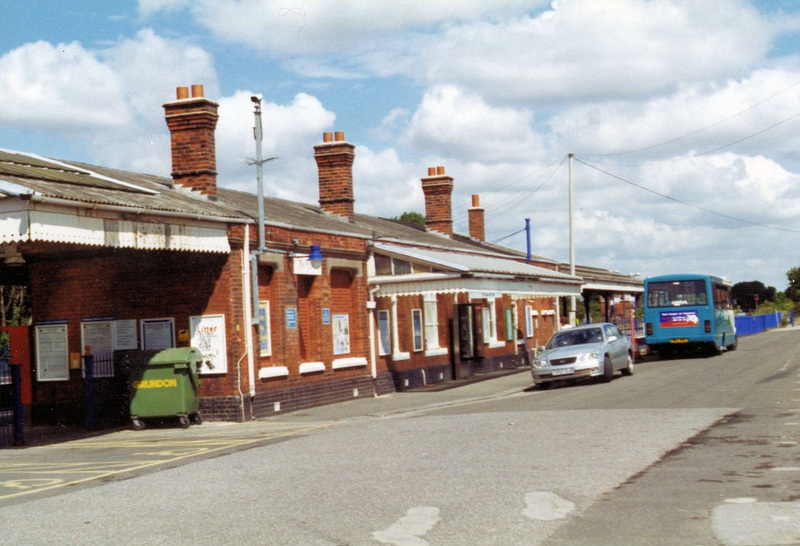 The Line to Oxford via Thame closed to passengers in 1963 but remained open for freight as far as Thame until 1991. 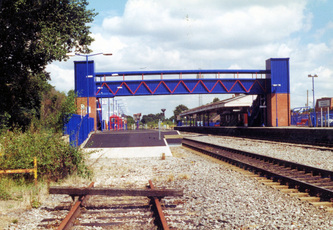 The former GCR services ceased to run from 1966. 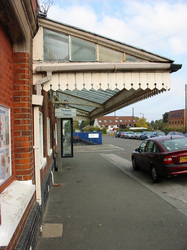 The branch to is still open and a stub of the Thame branch remains as a siding. 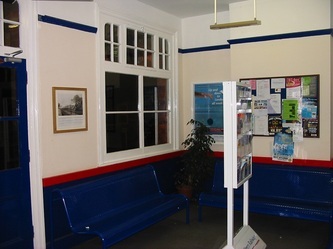 Image courtesy of Google Earth.